What Is Regent Park TV? Regent Park Television (RPTV), is a 24 hour closed circuit community television station that is programmed and operated by the Regent Park Focus. 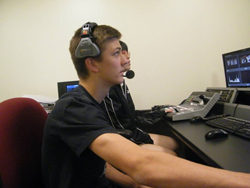 The television station began analog broadcasting in May of 2013 and digitally broadcasting in May 2016. How Can I See RPTV? RPTV is available on-line on our youtube channel www.youtube.com/regentparktv. RPTV can also be accessed on Rogers Digital Cable Channel 991 by residents of Regent Park that are living in new revitalized buildings and households. Please contact us if you are a Rogers customer living in a new building in Regent Park and are having problems receiving the channel. 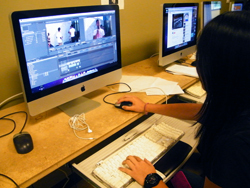 Why The Need for A Community Television Station? Regent Park Focus first proposed the idea for a closed circuit television station for the Regent Park community in 2000. The impetus was an identified need for effective communication tools to reach tenants living in the Regent Park area. One of the challenges of communicating with a community of Regent Park’s size and diversity is finding methods to reach as many people as possible in a manner that is engaging, relevant and financial viable. Today, Regent Park is going through a massive 20 year revitalization project. 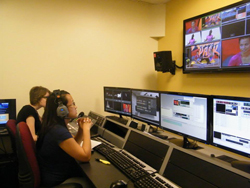 Building on the Regent Park Focus's long history in the neighbourhood, proven media expertise and new fiber optic cable infrastructure, the idea for a community television station has come to fruition. 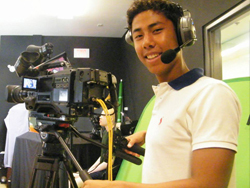 The Regent Park Television (RPTV) initiative is being used to teach young people (15-29 years) television broadcasting tools, technologies and methodologies. 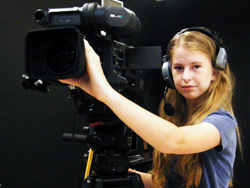 Youth are taught a variety of skills including researching, interviewing, script development, storyboarding, studio camera operations, lighting control, directing, switchboard operating, and digital editing. They also learn valuable social skills such as resource management, negotiation, decision making, problem solving and leadership from their involvement in a youth driven, team environment. 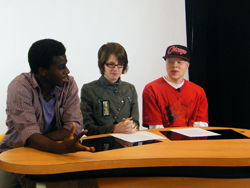 The RPTV mentorship program is interactive, creative and a great learning experience for interested youth. What Kind of Content is Produced? 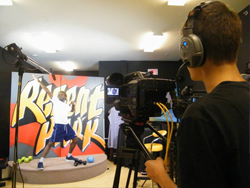 Regent Park Television (RPTV) is dedicated to producing content in a variety of formats including animation, news shows, documentaries, public service announcements, talk shows, spoken word, short dramas, music videos, and airing of community events and live radio shows. 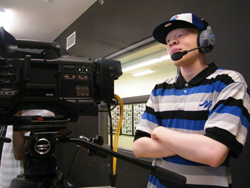 No matter what the format, RPTV provides an exciting opportunity for youth and adult community members to share stories, voice experiences, explore issues and profile the cultural life of the Regent Park community. What If I Have An Idea For A Show on Regent Park Television? 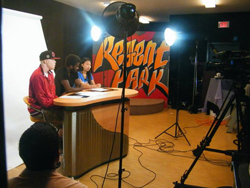 Regent Park Focus encourages young people, residents, groups and organizations who have ideas for a television or radio show for or about the community to contact us to discuss the possibilities of a partnership or co-production. Keep in mind that a television show takes a considerable amount of resources to produce and while your idea may be a good one, Regent Park Focus may not have the resources to produce it without finding additional financial support or sponsorship. But do bring us your ideas and let’s talk about the possibilities. How Can I Sponsor A Television Show on Regent Park Television? 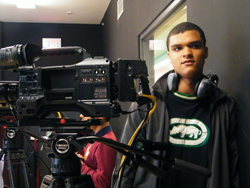 Financial contributions in the form of donations and/or sponsorships are incredibly important to the success of Regent Park Television (RPTV). You can sponsor any show currently in development for RPTV or talk to us about specific programming you’d like to help fund. For a sponsorship of $1,000 or more you will be acknowledged and credited as a broadcast sponsor of the show. Regent Park Focus also accepts donations and can issue charitable tax receipts through its trustee. Additionally we accept paypal donations online.